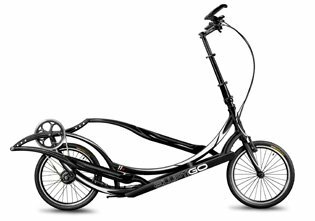 Fun To RideThe speed, handling and motion feels exhilarating giving you a carefree exercise experience at any age. Increased VisibilityA higher riding position makes it easier for you to see and be seen. One-Size Fits AllThe steering height are adjustable so riders from 4’10” to 6’10” can find their optimal fit for a comfortable ride. Great Full-Body WorkoutThe stand-up position engages your core and upper body in addition to your legs. Weight-Bearing ExerciseGets your heart rate up, burns calories and helps to improve bone density. PortableCan fit inside most vehicles and on a variety of roof, trunk and hitch racks. A simple quick-release lever makes it fast and easy to adjust the height for any rider or to transport the 8C in a vehicle. The 8 internal gears reduce maintenance and provide a large range of resistance, allowing you to conquer the steepest of hills and sprint at speeds of 25mph+. 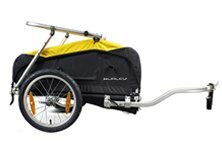 ElliptiGO 8C 5 out of 5 based on 67 ratings. 67 user reviews. If you want the perfect combination of price and performance, the ElliptiGO 8C is for you. Fitness enthusiasts and cross-training athletes alike enjoy the long, smooth stride, wide gear range and running-like motion of the 8C. Of course, like all ElliptiGO bikes, you can adjust the stride length and handlebar height to dial-in your perfect riding position, whether you are going for a long cruising ride or hammering an interval workout. For comfort, performance and price, the ElliptiGO 8C delivers the best bang for your buck, which is why it’s the most popular elliptical bicycle on the market.